The Dust Bowl in the 1930s was one of the worst environmental disasters of the 20th century. Intense dust storms relentlessly pounded the southern Great Plains of the United States, wreaking severe ecological damage, forcing 2.5 million people to leave the region and claiming unnumbered lives, mainly from "dust pneumonia." 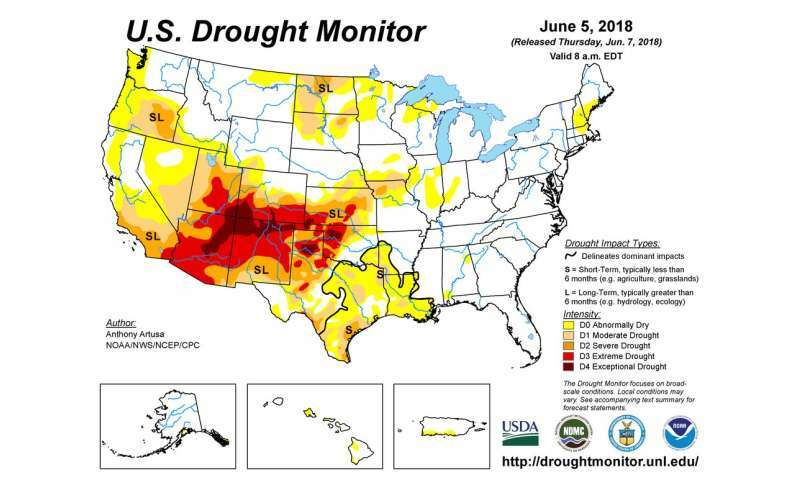 If global greenhouse gas emissions are not sharply reduced, scientists project that the U.S. Southwest – already the nation's hottest and driest region – will experience unprecedented multi-decade "mega-droughts" in the coming decades. In our study, "dust" refers to soil-derived airborne particles generated by wind erosion or human activities, such as farming operations or travel on unpaved roads. Any soil particles smaller than 0.05 millimeters – roughly the width of a human hair – can be uplifted into the air. 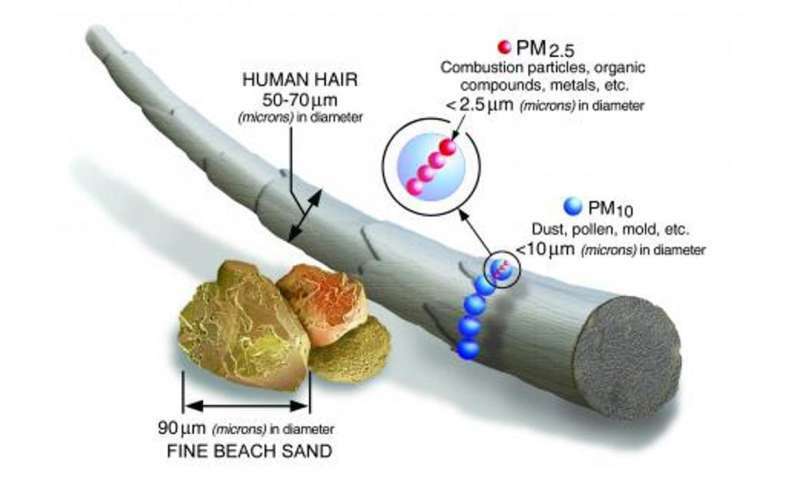 We focused on particles smaller than 0.0025 millimeters (2.5 microns), which are collectively known as "fine" particulate matter (PM). Particles this small stay in the air longer and cause the greatest harm to human health, since they can penetrate deep into the lungs. 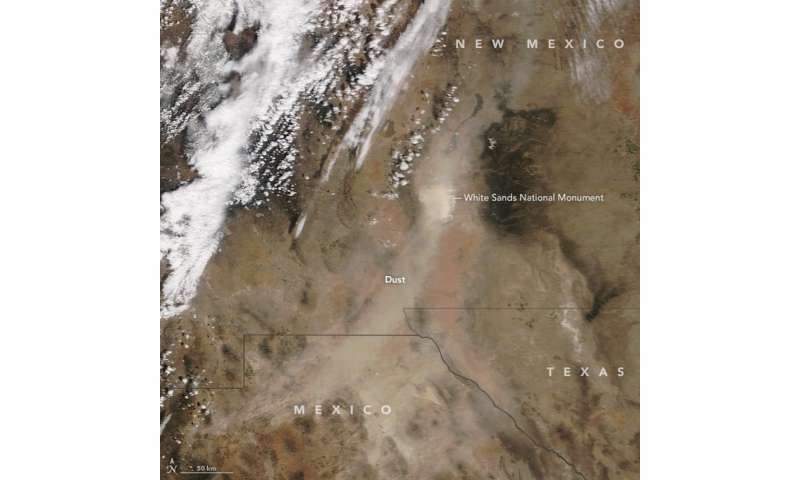 The southwestern United States, much of which consists of deserts and drylands, has the nation's highest levels of airborne dust. The first question we investigated was how drought conditions occurring in different hydrologic systems, such as surface soils, river discharge areas and groundwater storage, have been influencing levels of airborne fine dust in recent years. In our next step, we quantified potential future changes in fine dust levels and associated public health impacts under two different climate change scenarios used in the Fifth Assessment Report of the Intergovernmental Panel on Climate Change. The so-called "worst-case" scenario in the report is characterized by unabated, increasing greenhouse gas emissions over time. In the "best-case" scenario, dramatic cuts in emissions are required to hold global warming below two degrees Celsius. Under the worst-case scenario – the path we're currently on – fine dust levels in the Southwest could increase by 30 percent by the end of this century compared to present-day values. This would result in a 130 percent increase in premature deaths and a 300 percent increase in hospital admissions attributable to fine dust exposure. Today, drylands compose 41 percent of the world's total land area and are home to around 2.1 billion people. On the world's current greenhouse gas emissions trajectory, droughts will intensify and drylands will expand in parts of South America, Africa, Australia and the Mediterranean. Our findings highlight the potential for climate change to worsen air quality problems in many populated arid regions around the world – one of the many threats posed by climate change to human health and well-being.